St Joseph’s College is indebted to the many generous donors and benefactors who, over the generations, have shared the College’s vision of educating boys to be the very best they can be in all areas of their lives. Our supporters are vital to our work of educating and caring for our students and providing them with opportunities and experiences that will inspire their thirst for knowledge, their attitude and their actions. Gifts to the College continue our long-established culture of philanthropy while endorsing our future projects and planning in very tangible ways. On behalf of all students, current and future, we sincerely thank you for considering a gift to St Joseph’s College. When Marcellin Champagnat founded the Marist Brothers in 1861, he did so to educate the youth in rural France. Consequently, from its earliest days, the education of boys from rural and remote areas has been part of the DNA of St Joseph’s College. Country families ground Joeys – their life experience demonstrates resilience in adversity, the value of effort and a true example of rugged determination. 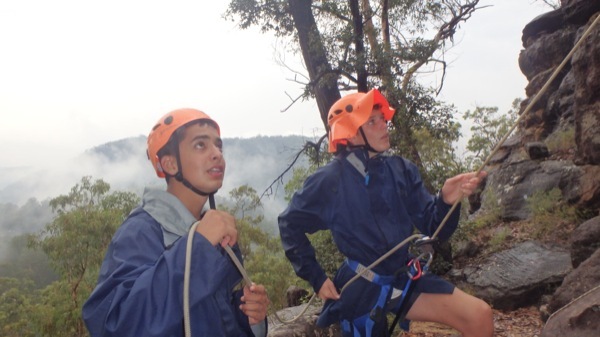 To ensure country families continue to remain part of the fabric of Joeys, SJC Foundation is proud to launch Boys from the Bush bursaries, a fund committed to offering a Joeys education to rural students for whom this opportunity might not otherwise be possible. Boys from the Bush will offer needs based bursaries, providing partial fee remittance to rural families who might, under ordinary circumstances, not be able to consider a St Joseph’s College education for their son due to financial limitations. These bursaries will ensure the essential Marist mission of providing the life-changing gift of education continues to be central to what we do and to who we are, and will allow the College to maintain a genuinely diverse student community. Country families have enriched our community for more than 130 years and we want that to remain a fundamental part of Joeys in the future. The beautiful gates surrounding the College and the Park have welcomed generations of students and families since they were erected in 1927. They originally surrounded the Sydney Town Hall and were purchased by the College for £170 at the time of the excavations for the underground railway. There has been an ongoing program of refurbishment around the College, however the restoration of Gladesville Road is a more complex project, requiring widening of the gates and repositioning of the pillars. The inspiring challenges and opportunities this equipment offers boys is not meant to make them better climbers or bike riders. Rather these experiences aim to support boys on their journey toward becoming resilient, competent, caring and confident young men. Annual Giving 2015 asks you to consider a gift toward this equipment, recognising the importance of outdoor challenge for young men. Former Headmaster, MJ McMahon often used the expression, “Our playing fields are an extension of our classrooms”. Sport is a fundamental component of the education provided at St Joseph’s College. It encourages the development of skills and self-confidence and contributes so much to community spirit and sense of belonging to something larger that is so evident in the Pavilion on Saturdays in winter. Even though the Park was acquired in 1893, the picket fence on the upper field has never been finished. 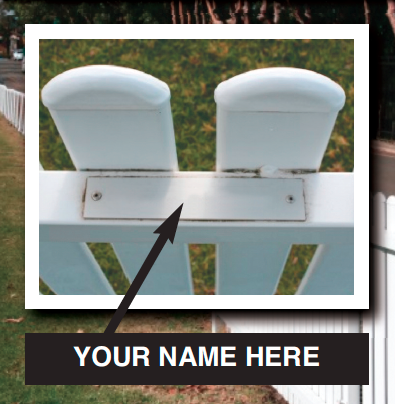 To address this, the Finish the Fence project was launched at the Sport Lovers Lunch in 2014, providing supporters with the opportunity to give a panel, which will be acknowledged with a family plaque. These gifts also support the construction of tiered seating on the lower Park. All gifts receive acknowledgement on an honour plaque erected at the Park, unless wishing to remain anonymous.